Mary Seacole was born a free black woman in Jamaica of the early 19th century. In her long and varied life, she was to travel in Central America, Russia and Europe, find work as a inn-keeper and as a doctress during the Crimean War, and become a famed heroine, the author of her own biography, in Britain. 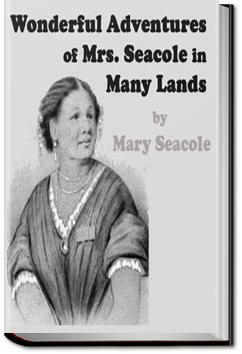 As this autobiography shows, Mary Seacole had a sharp instinct for hypocrisy as well as a ripe taste for sarcasm. Frequently we see her joyfully rise to mock the limitations artificially imposed on her as a black woman. She emerges from her writings as an individual with a most un-Victorian zest for travel, adventure and independence. SOMEONE GET LIN-MANUEL MIRANDA ON THE LINE, BECAUSE I'VE DISCOVERED AN AMAZING HISTORICAL FIGURE IN NEED OF A MUSICAL! I picked this up for my Kindle for two reasons. The first is because it didn't cost my anything. The second because I actually knew who Mary Seacole was after reading an essay about her in either British Heritage or a British history magazine.